Representatives of ONSITE Woodwork went to the 2016 International Woodworking Fair ostensibly looking to purchase a new beam saw and CNC router. 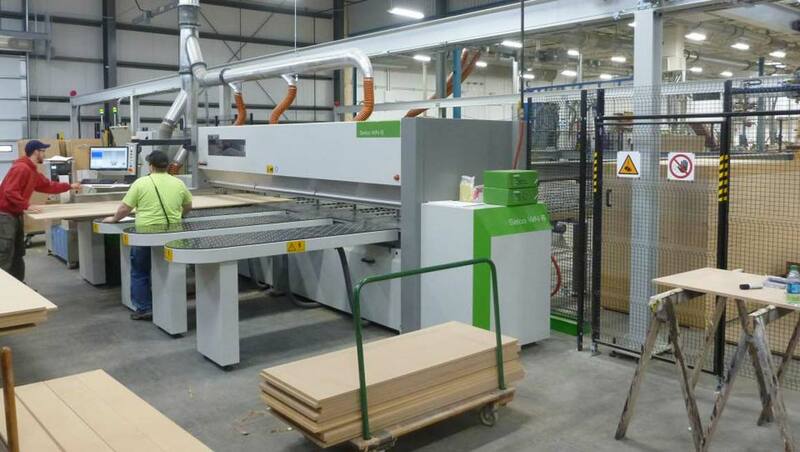 They left Atlanta not only having placed orders with Biesse America for a Selco WN 630 panel saw and Rover B nesting cell, and also a Brema EKO 2.1 vertical machining center and a Winstore inventory and panel management System. 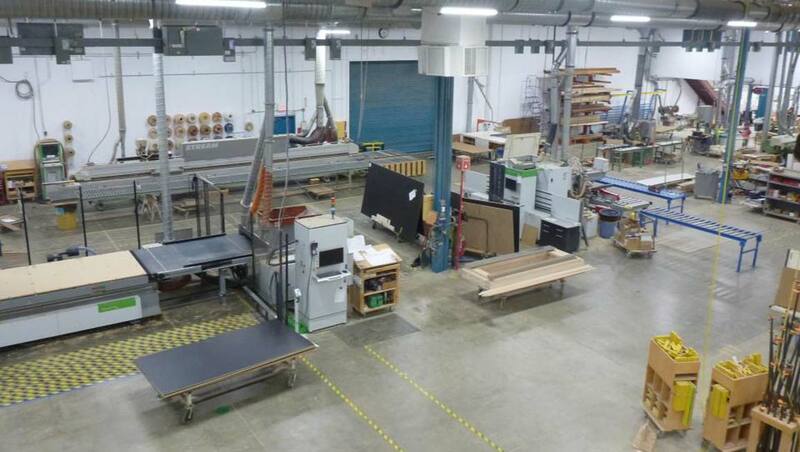 The unanticipated Winstore purchase created the sudden need to build an 8,500-square-foot addition to house it at ONSITE Woodwork’s production facility in Loves Park, IL. 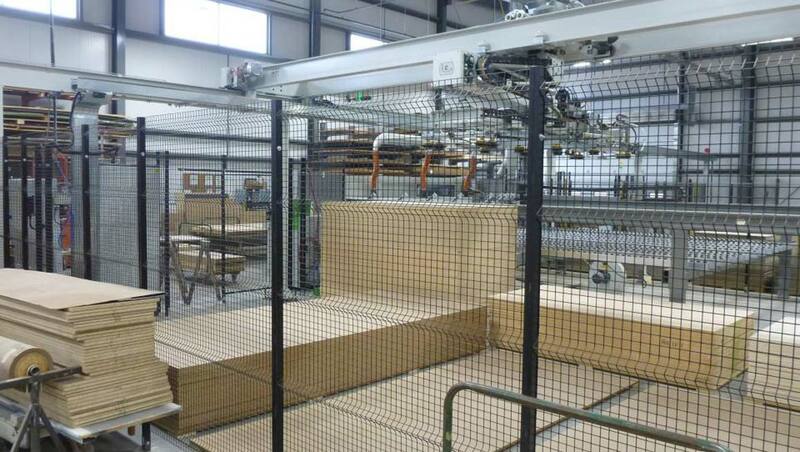 “We believe in running a real tight, real lean space”, said Ralph Peterson, chairman of ONSITE Woodwork. “We don’t have exorbitant amounts of space around our equipment. We just have the room we need to make it run effectively. We’re pretty much a shop where if something starts being made at the beginning of the week then it’s got to leave as a finished product by the end of the week”. Four days after returning from IWF and heading into the Labor Day weekend, Peterson said ONSITE began designing the addition and pulling construction permits. The new space was completed during the Christmas holidays, increasing the facility’s total production and warehouse to 40,000 square feet. Equipment was rearranged to accommodate the new equipment and to facilitate production flow. The Biesse Winstore, which occupies a 30-foot by 80-foot space, is the anchor technology tenant of the building addition and services a panel processing work cell. It automatically vacuum lifts a panel from one of about two dozen stacks of varying material and loads it either on the Selco WN630 panel saw or the Rover B CNC Router equipped with automatic part labeling on the outfeed. “Before we bought the Winstore we had about 50 different types, sizes and thicknesses of panels stored in channel racks”, Peterson said. “We had one guy whose day was consumed unloading delivered sheet goods and digging through the racks to arrange stacks of material to be fed into the panel saw. He might have a 5 by 12 ½-inch sheet followed by two 4 by 8 ¾-inch sheets. The production guys would tell him what they needed and he’d put it all together in the loader and roll it to the saw where panels would be cut one at a time. We’d been doing it that way forever. “Then we saw the Winstore concept at IWF and we thought, ‘If we can get rid of the process of manually handling all of these sheets, we could find a more productive use for our personnel”, Peterson said. “Plus, we realized that the Winstore would give us an inventory control system for managing our material”. Peterson added that the Winstore proved it has the muscle to handle the heaviest of materials ONSITE uses, including dense, heavy Weyerhaeuser Timberstand LSL boards. As for the Selco WN630 panel saw, Peterson said it cuts faster and quieter than the saw it replaced. "It's got some nice features, including a control that's better than our old saw. The guys love this saw". 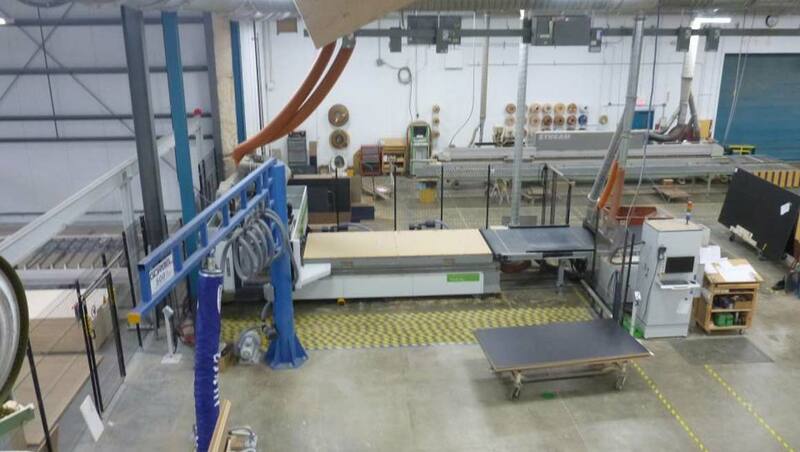 While the Rover B falls into the class of CNC nesting routers, Peterson said it is used mainly for “finish sizing of our over-sized veneer panels.” ONSITE also uses the Rover B to rout parts for specialty items like boat-shaped conference tables or curved furniture. “It can square parts or handle both an inside radius or curve. It’s very versatile and gets used a lot”, Peterson said. Thermally-fused laminate and other decorative laminated parts shaped and sized on the Rover B are often fed into the Brema EKO 2.1 vertical machining center, which fits perfectly with ONSITE Woodwork’s space economizing philosophy. 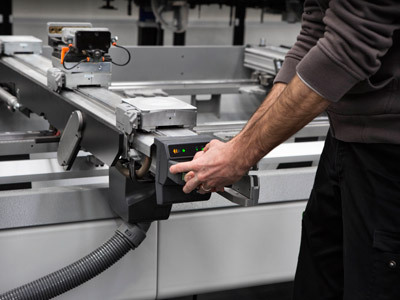 The EKO drills holes for assembly and hardware insertion and depending on the part can cut a toe kick, rabbet the back of a panel and perform many other cutting, routing and sawing tasks as needed. 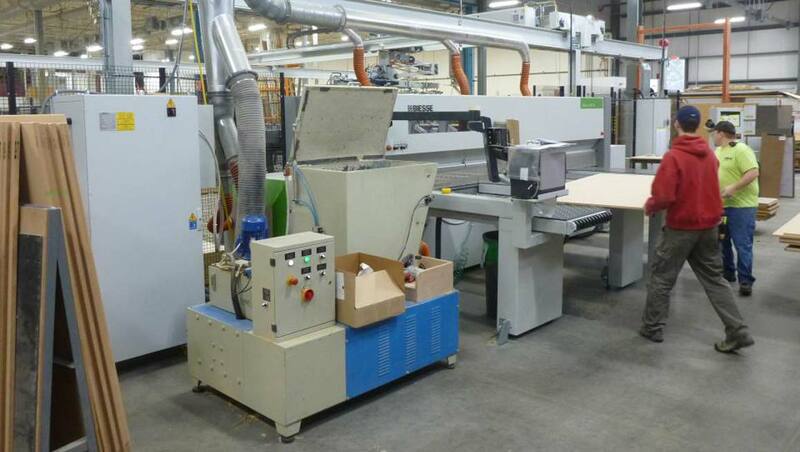 “We already were Biesse users" Peterson continued, noting that ONSITE has a Stream edgebander and a Rover 35L pod router. 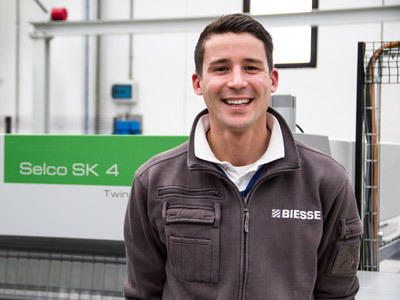 “Biesse’s been a great vendor the whole time we’ve been involved with them.” “We’re still adjusting to the work flow changes but everything is running OK,” Peterson added. “We believe that we should see a 20 to 30 percent increase in capacity which was one of our goals with changes we made”. The owners of ONSITE came from a construction background with years of experience building both luxury homes and commercial projects. 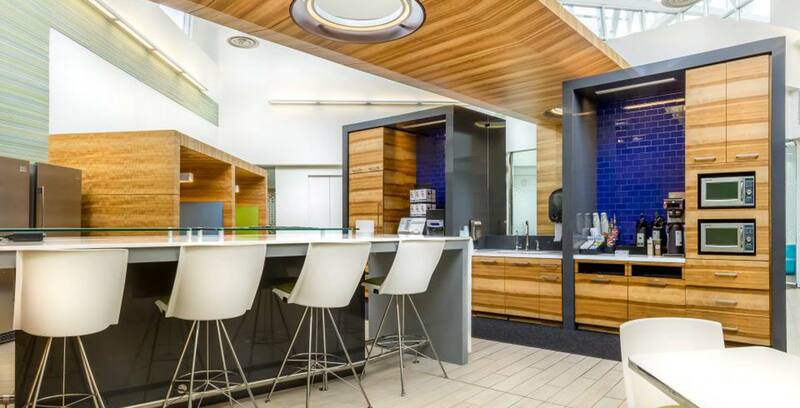 Then in response to a growing need for qualified custom work, ONSITE Woodwork was started in 1982 to manufacture custom architectural woodwork for commercial buildings. Peterson said its construction roots remain one of the company’s best competitive edges. “We’ve sat on the other side of a construction project. We understand when we look at a wall that there’s more to the story than just our panels or casework or our doors or door jambs. We try to bring value to our estimates based on our construction experience that most woodworking companies can’t”. 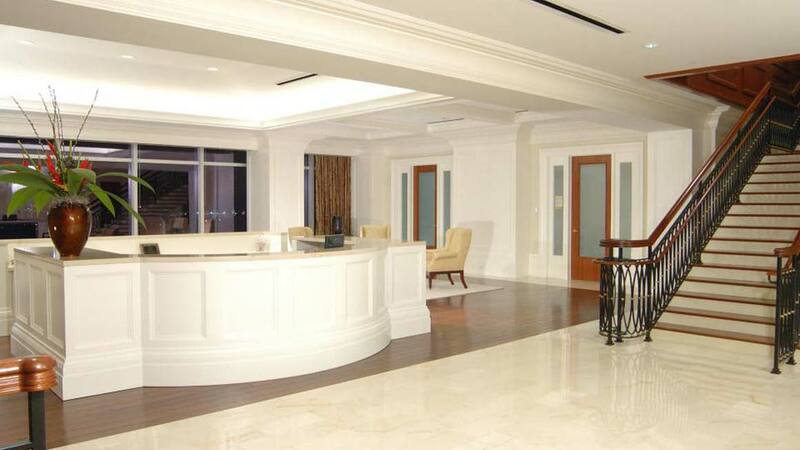 ONSITE is a member of the Architectural Woodwork Institute and as such specializes in high-end architectural woodwork. 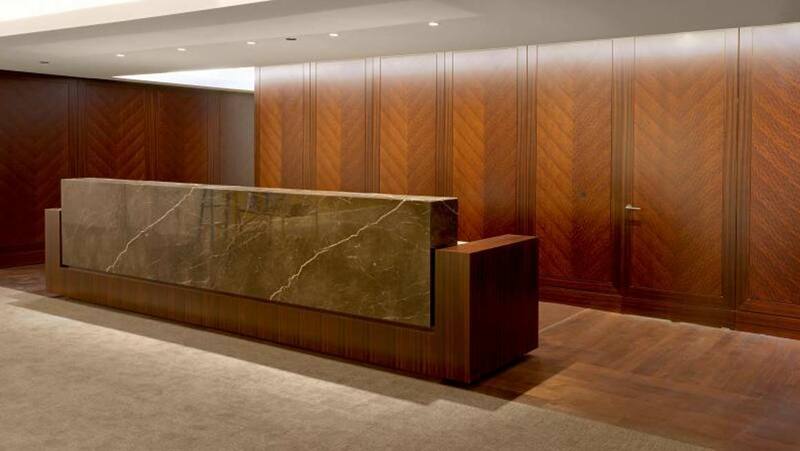 Another of its competitive advantages is its in-house veneer expertise. “We are extremely customized. 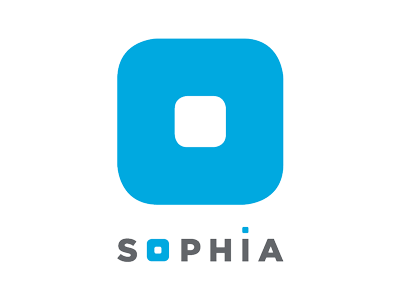 We don’t do much repetitive stuff because every project is new and every project has a designer who wants their flavor for a particular client’s needs. If you want standard laminate cabinets, we can do it. But if you want something that is way out there, very difficult, very expansive, very technical or elliptical, then we’re the people you want to talk to”. ONSITE employs 160 people including 60 in production. 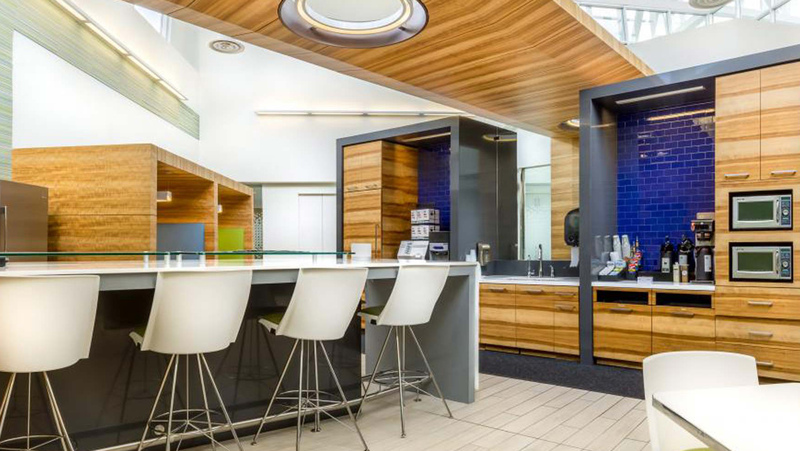 In addition to its Loves Park headquarters and production facility, ONSITE has a trio of project management and warehouse centers in Atlanta, Charlotte and Houston. Depending on the size and location of a project, ONSITE handles installation itself, hires installers through a staffing agency or outsources the installation to another company. We visited all of the major panel processing companies at IWF. On the first afternoon, it became really apparent that the Winstore concept was something we really had to consider. We changed our gears and started to look at our purchase as a package. Because of all the interaction between the machines we realized it would have been a nightmare if we had several vendors and something went wrong.